Beginning with the Grizzly release earlier this year, VMware began to make a splash in the OpenStack community, both with a stated commitment of support and followed up with integration of vSphere with the Nova Compute project. That has continued in the recent Havana release with further vSphere integration with Nova and additional integration with the Cinder block storage project and NSX integration with the Neutron Networking project. I’ve previously provided some technical details on VMware’s work in OpenStack in a blogs series on vSphere with Nova Compute and a post on vSphere with Cinder. 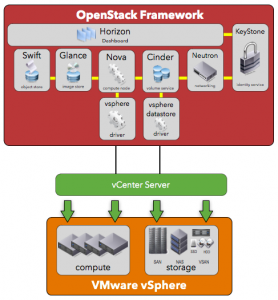 As part of their effort to encourage vSphere professionals to take OpenStack with vSphere for a non-production “test drive,” VMware also released a virtual appliance they named the vSphere OpenStack Virtual Appliance (VOVA). VOVA is essentially a vm running an all-in-one OpenStack Cloud Controller that manages vSphere and uses it as its hypervisor for launching cloud instances; in this case, all-in-one means that besides all the OpenStack services required for the Controller, VOVA is also running Nova Compute, Nova Networks, Glance, Cinder, etc.. To assist with running VOVA, VMware released a VOVA manual along with the virtual appliance. 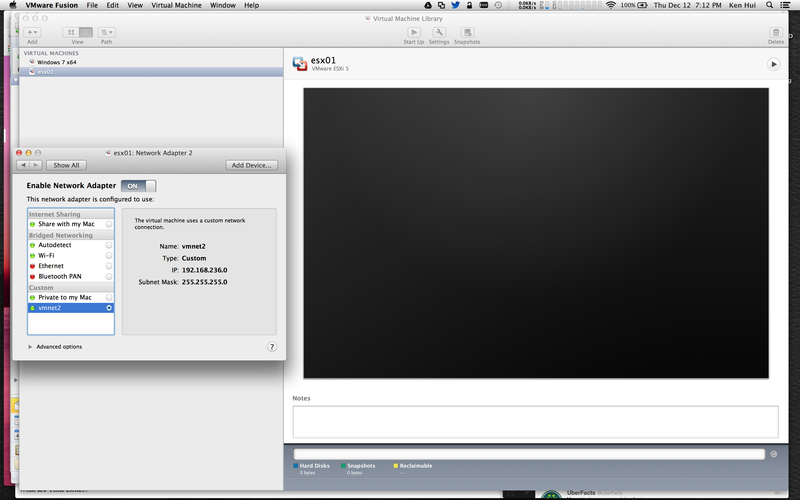 Also, Rawlinson Rivera from VMware has provided additional details and a demo via several blog posts. VOVA is intended to be deployed in a vSphere lab environment and that’s what I would suggest be done for extensive testing. 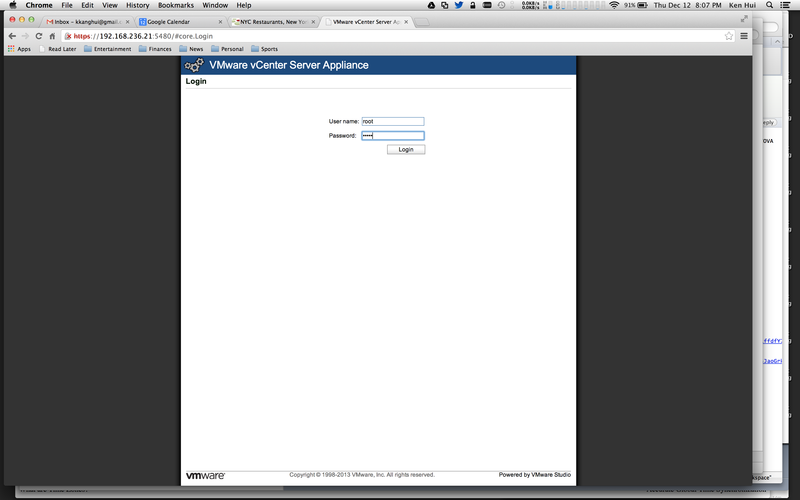 However, I thought it may be helpful, for demo purposes and for anyone who may have access to a lab environment, if I walked though how to deploy VOVA with a small vSphere environment on a single laptop or workstation. In this part 1 post, I will walk though setting up a vSphere environment, including ESXi and vCenter, using VMware Fusion. 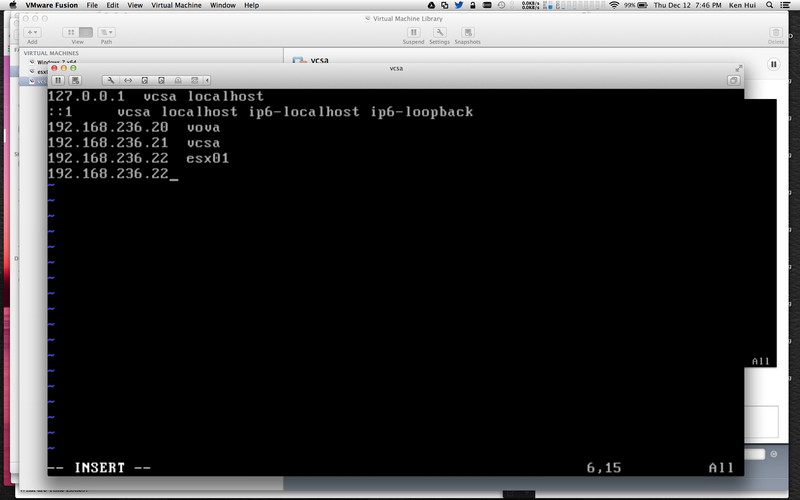 In part 2, I walk through deploying VOVA and using vSphere with OpenStack. This walk-though will for Fusion but the same instructions should work, with minimal changes, in Workstation. This post assumes that the reader has enough knowledge of vSphere to create and manage a small vSphere environment; if you don’t have that yet, I recommend reading the excellent “Mastering VMware vSphere 5.5” book. 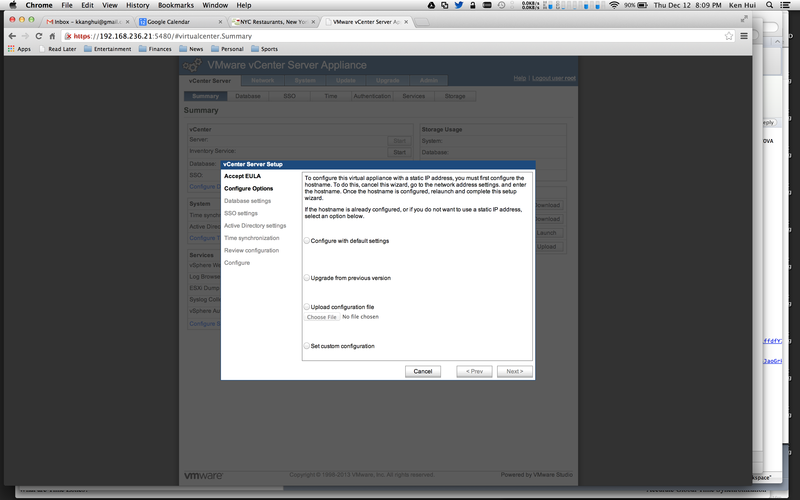 VOVA is supported with vSphere 5.1 but I will be using vSphere 5.5 for this walk-through. 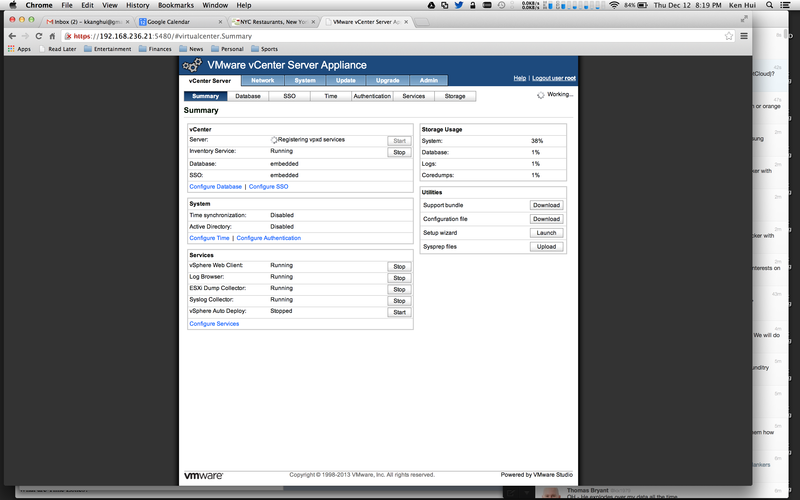 I will be using the vCenter Server Appliance (VCSA) instead of installing the Windows version of the vCenter Server. For additional requirements and limitations, related to VOVA, please read the VOVA manual. 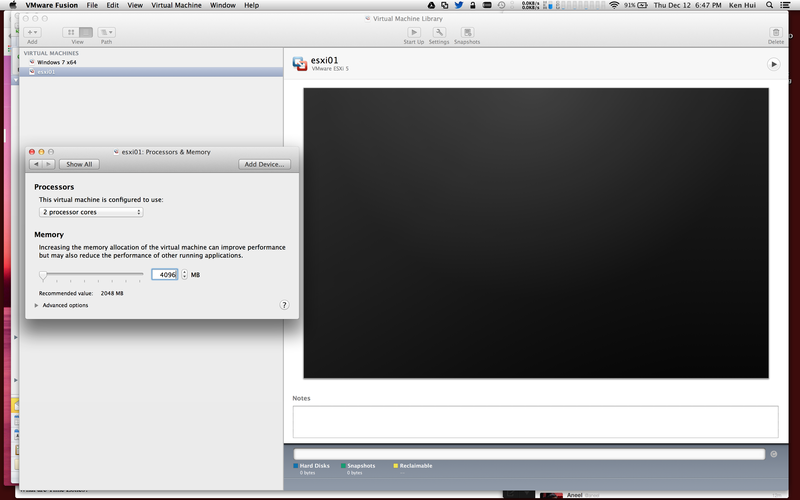 I will walk readers thought installing ESXi on your laptop via Fusion. We will be taking advantage of the nested hypervisors feature in Fusion and Workstation to run both VOVA and “OpenStack Cloud instances” on 1 or more ESXi hosts. Note that we will begin with just a single ESXi hosts to get a working VOVA environment running; you can add more hosts if you have enough physical resources on your laptop or workstation. 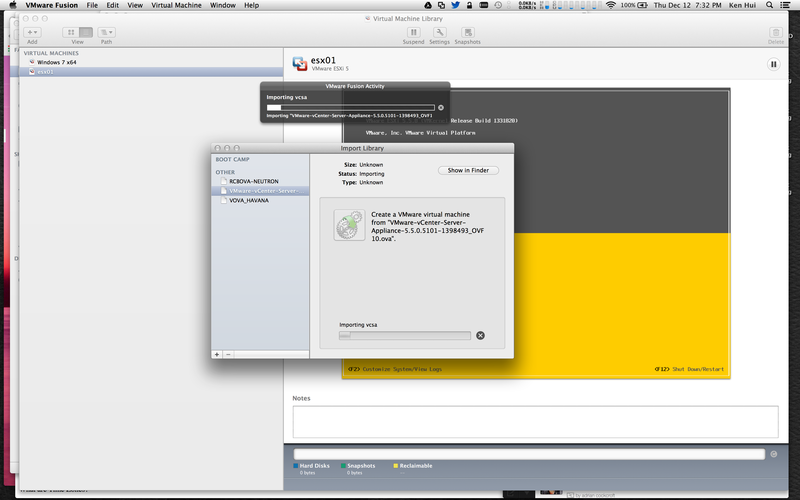 Start by downloading ESXi 5.5.0 to your laptop; if you do not have or do not want to license an ESXi Server, you can install and use in evaluation mode. After choosing the ESXi 5.5 ISO, accept the ESX 5 defaults for the Operating System; before finishing setup of the new VM, choose to customize settings. From the “Customize Settings” screen, check the “Processors & Memory” settings; depending on which version of Fusion or Workstation you are using, you may have to increase the default memory for the vm to 4096 GB, as is now required by ESXi 5.5 (Note for any settings changes, you have to click on the “Show All” button for the changes to be finalized). 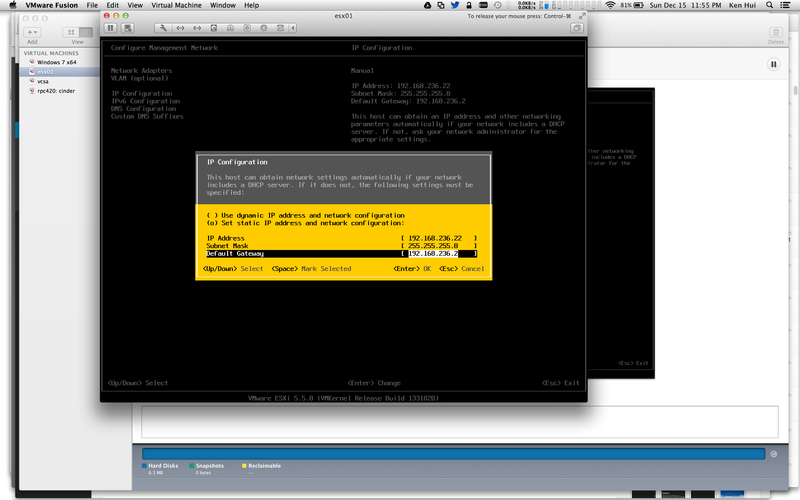 After the vm is powered on, walk through the ESXi 5.5 install by accepting all defaults. 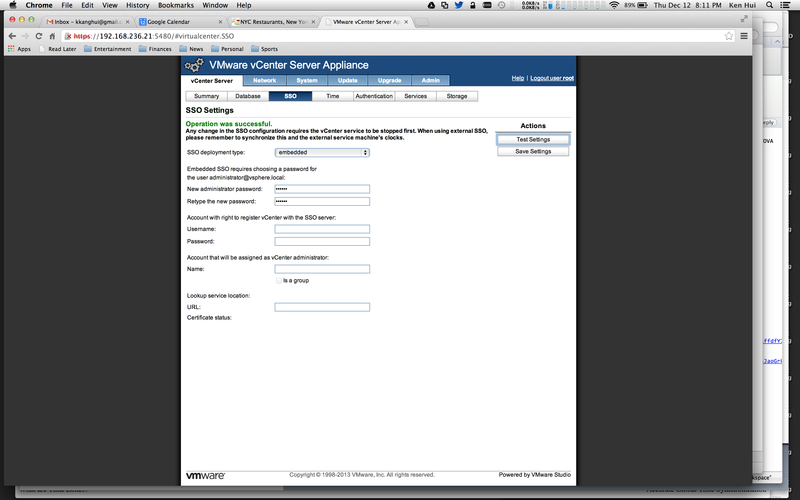 Once the installation is completed and the ESXi vm rebooted, log on to the console and change the “Configure Management Network” settings for vmnic0 ONLY. Change the network settings to allow you to access the vm from your laptop’s console and browser, including setting a reachable static IP address and subnet; also remember to set a host name. 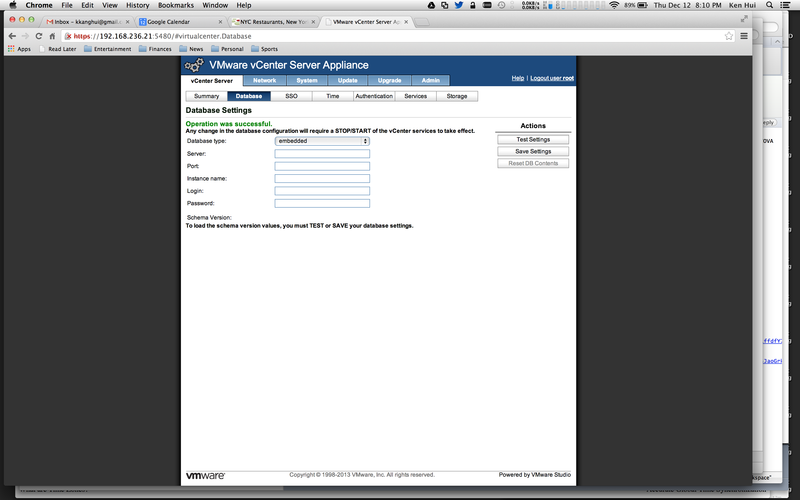 Download the VMware vCenter Server Appliance to your laptop. 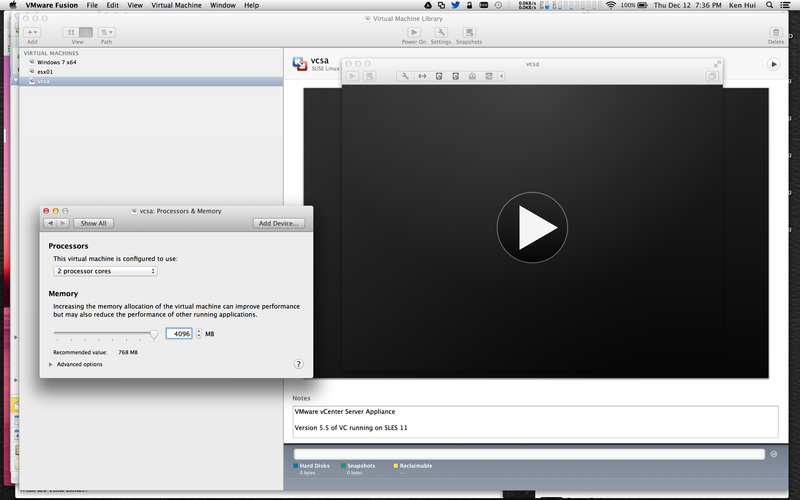 From within Fusion, import the VCSA OVA file. 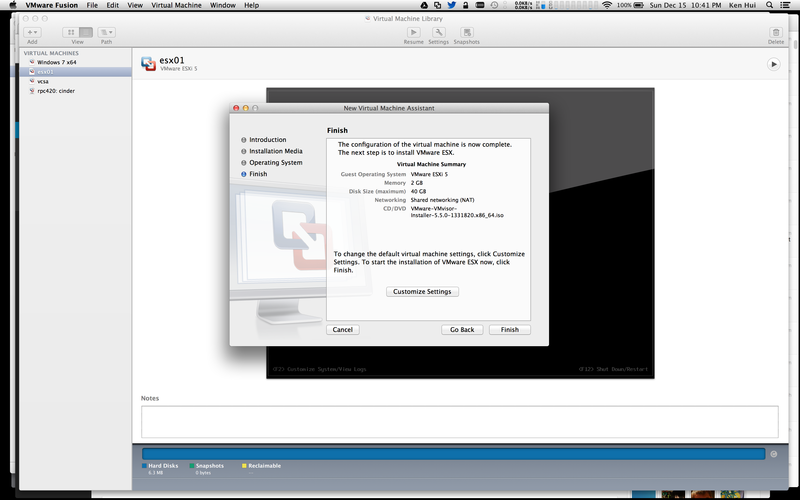 After the import has completed and prior to powering on the VCSA vm, customize settings and change the “Processor & Memory” settings. The default memory setting for VCSA is 8198 GB; but for the purpose of this walk-through, you can lower the amount to 4096 GB (Note for any settings changes, you have to click on the “Show All” button for the changes to be finalized). Once the memory setting has been changed, go ahead and power up the VCSA vm; from the menu screen which will come up after the vm is powered on, choose “Login” and log on using the defaults of user name: root and password: vmware. To ensure that you will be able to access the VCSA management page and the vSphere we client, we will manually configure the network settings for your VCSA. 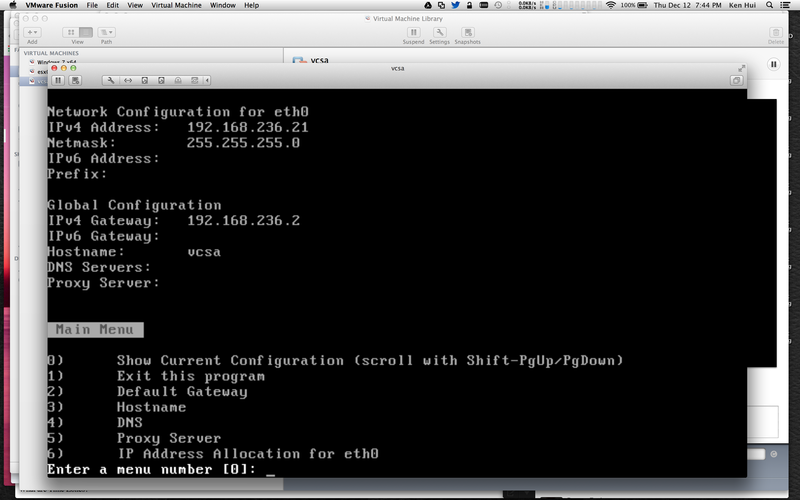 From the CLI type “/opt/vmware/share/vami/vami_config_net” to access the network configuration main menu. Using the above menu, change the network settings to allow the VCSA to be accessed from your laptop and your ESXi vm, including setting a reachable static IP address and subnet; also remember to set a host name. Because VCSA SSO will require proper name resolution and I don’t have a valid DNS server for my environment, I worked around it by editing the VCSA’s /etc/hosts file; I added the VCSA, ESXi host, and the VOVA that I will deploy later. Now go ahead and access the VCSA management page from your browser, using the static IP address you set earlier and going through port 5480. 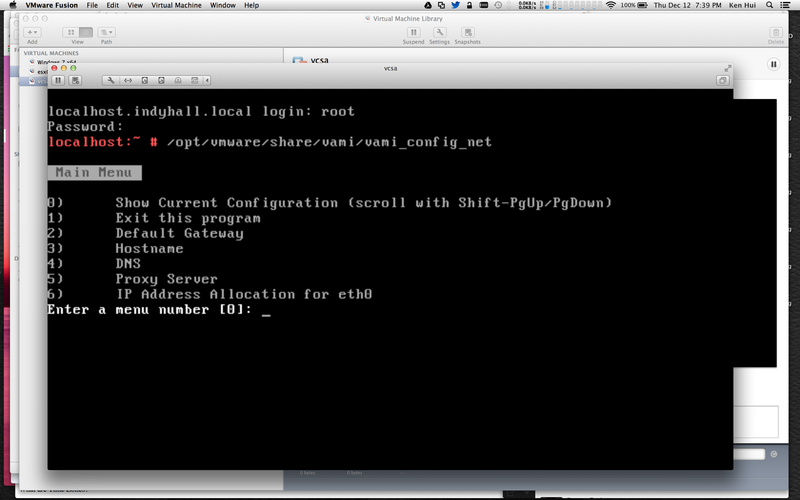 Log on with username: root and password: vmware. 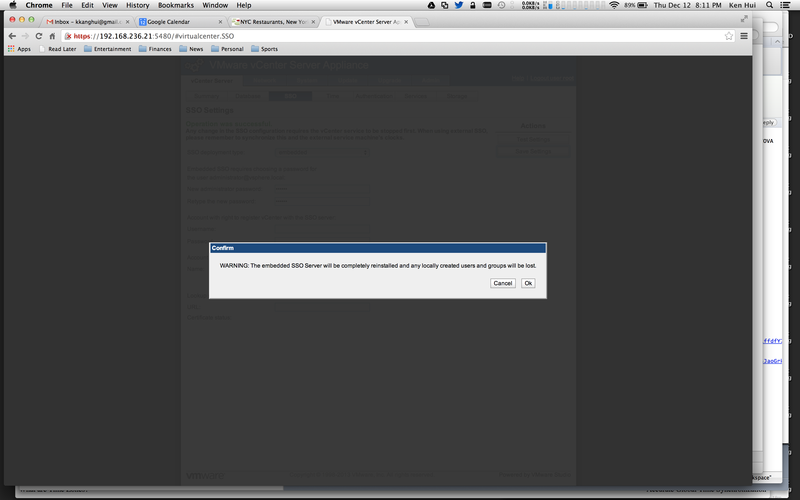 Once you log in , go ahead accept the EULA; you will then be directed to the “vCenter Server Setup” screen. You could go ahead and configure with the default setups; for this walk-though, however, I will hit “Cancel” and configure the Database and SSO manually. You will be dropped to the main management page; from there go to the Database tab; choose ’embedded” for the Database type and save settings. Now go to the SSO tab and choose ’embedded” as the SSO deployment type; create a password for the administrator, save settings, and confirm re-installation of the SSO Server. Go back to the Summary tab where you will the Server and Inventory services being started. Once the Sever and Inventory services are started, we are ready to look at deploying VOVA with your newly created vSphere environment. 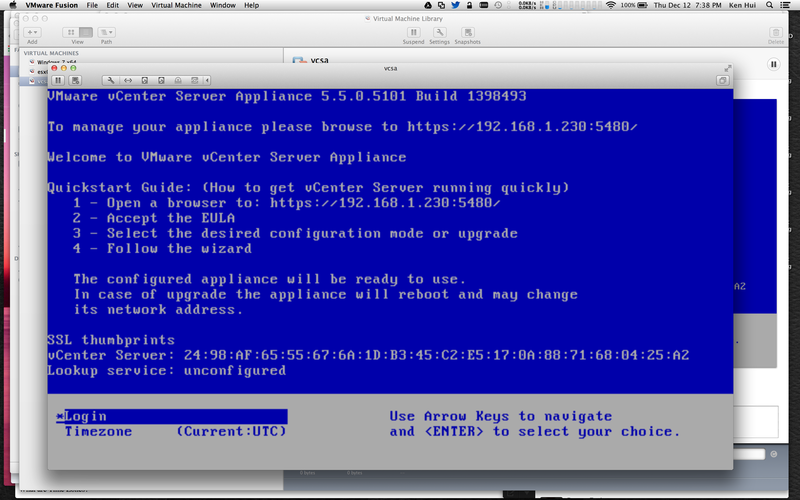 In part 2, I walk through preparing for and deploying VOVA, followed by a tutorial on how to use OpenStack with vSphere.